Sarasota/Manatee Respite Services (SMRS) is the Family Network on Disabilities’ comprehensive in-home respite care program. Through this program, a trained respite care worker provides occasional, temporary relief care to a child or children with a developmental or functional disability. This support allows parents and caregivers of children with disabilities and special needs to take a break, rest, or engage in other relaxing alternatives to their everyday situation, thus reducing the physical, emotional, and psychological stress they may experiencing. If you are uneasy about receiving respite care, understand everyone needs rest and relaxation once in a while. Some families may be reluctant to use respite because of a feeling of discomfort over what they see as relinquishing control over their child’s safety and well-being. Parents and caregivers who feel this way should know that staying home is also a perfectly acceptable use of respite services. You may prefer to do housework, pay bills, or read a book. Parents may also want to ease into using our respite services and gain confidence. 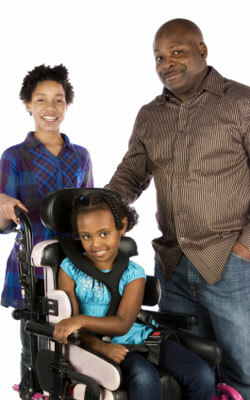 Our goal is to make you feel secure enough to leave your child with a respite care worker when you are ready. When you contact Sarasota/Manatee Respite Services through our online intake form, the Family Liaison will contact you within 48 hours of submitting your intake form to review your information and provide you with details about the availability of respite services. When services are available you will be sent an enrollment packet to complete and return to us. Once you have completed and returned the enrollment packet, SMRS will work with you to schedule an in-home visit to complete the enrollment process and provide you with additional information about our program. The enrollment packet and in-home intake will then be used to assess the need for service, match your family with a respite care worker, identify any other concerns, and guide your family to additional resources if necessary. Currently, the program serves children from birth to age 18. These children might have an Autism Spectrum Disorder (ASD), Pervasive Developmental Disorder (PDD), behavioral conditions, Attention Deficit Disorder (ADD), Attention Deficit Hyperactivity Disorder (ADHD), Sensory Integration Disorder, physical impairment, cerebral palsy, and developmental delays. Moreover, the program serves the entire family of a child with a disability, including siblings. SMRS is only available to residents of Sarasota and Manatee counties. Services are provided in one six-hour visit or two three-hour visits per month, unless an alternative funding source is available. A program fee for service is charged for your visit and is based on a sliding scale. A copy of your most recent income tax return will be required in order to determine your program fee. If you cannot pay the program fee, you may apply for a hardship scholarship, and a copy of your income tax return will still be required for a hardship consideration. No family is denied services due to an inability to pay. All families participating in the SMRS program are required to complete a quality assurance survey four times a year. If you have further questions about the program, please contact Family Liaison, Margaret Azouz, at (941) 704-9223 between the hours of 9:00 a.m. – 5:00 p.m., or by email. All respite care workers are personally interviewed, drug screened, fingerprinted, and go through State of Florida and FBI background checks. To print a job application click here.